counterjihadwarrior.com - Because Islam will NEVER EVER be a Religion of Peace - rather a barbaric, totalitarian cult, based on fear, violence, intimidation & terror. - Page 8 of 9 - If YOU - as a Muslim - choose to subscribe to a genocidal anti-Semitic ideology that demands the death or subjugation of non-believers, just because WE believe in something different, then you shouldn't be surprised when WE regard YOU with suspicion. It's nothing to do with Islamophobia - simply a healthy contempt for Islam based on the observable behaviour of all too many Muslims. If you don't want the inevitable opprobrium that your lifestyle choice will generate, then the only intellectually honest thing to do is to turn your back on Islam forever. Back in April 2013, the American Freedom Defense Initiative produced an 18-point platform designed to provide an effective means of countering the global jihad. It was designed primarily from an American perspective, but could easily be adapted for any Western country under the threat of Islam. It’s worth re-visiting the platform (after four years and eight months) to see whether those means still have merit. We leave it to the reader to decide whether conditions might have improved if Western governments had heeded the advice which, for the most part, has not been the case. This article focuses on Items 1-6. Articles concerning Items 7-12 and 13-18 will follow shortly. 1)— AFDI denounces the crippling rules of engagement under which our soldiers are forced to labour. They should be given the freedom to defend themselves and protect their comrades. The big problem here is that Western governments still refuse to recognise that we are at war with the most ruthless, genocidal and totalitarian ideology that the world has ever seen. This is not the fault of the West – war has been declared on us via the established doctrine of eternal warfare and enmity that runs through the Koran and the Sunna like a stick of Blackpool rock. When you are at war, to paraphrase General George S Patton – You don’t want to make your soldiers die for your country, you want to make the soldiers of the other side die for theirs. This is a war that will only end by comprehensively destroying all traces of this ideology, and all those who continue to support it in spite of its obvious shortcomings, until the existential threat to our Judaeo-Christian civilisation has been neutralised. There has been ever-increasing opposition to such profiling on the basis that it is “divisive”, “discriminatory” and could affect “community cohesion.” How long are we going to maintain “community cohesion” with a demographic that is bitterly hostile to the rest of humanity and which is doubling in size every 12-15 years? 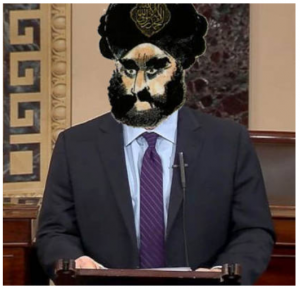 Paul Weston of Liberty GB had the right idea when he suggested in 2015 that anyone who continues to voluntarily subscribe to the totalitarian ideology of Islam (now that there is NO excuse for ignoring the threat that Islam poses to our societies) should be purged from ANY public position of authority, including the police, the military, the judiciary, the educational system, and national and local government. Although this is now being talked about, there has been virtually no serious investigation into foreign mosque funding by anyone with the power to do so in Western governments. Nobody in authority wants to be seen as “racist” or “Islamophobic”, despite the fact that Islam is not a race, and it’s hardly a phobia when you are concerned for yourself or for your children being shot, stabbed, run down, blown up or otherwise harmed by an increasing number of the followers of this ideology. A comprehensive program of investigation and legislation as specified above is well overdue. 4)— AFDI calls for surveillance of mosques and regular inspections of mosques in the U.S. and other non-Muslim nations to look for pro-violence materials. Any mosque advocating jihad or any aspects of Sharia that conflict with Constitutional freedoms and protections should be closed. Surveys over the past four and a half years have suggested that more than 80 per cent of mosques in the West promote outright hatred towards the Kuffar (infidel) through the doctrines of jihad, dhimmitude and Al-Walaa-Wal-Baraa. 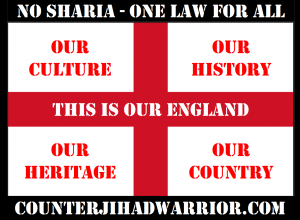 The problem is that this is not an extremist minority as we have been told by successive Western governments, this is mainstream Islam, red in tooth and claw, and as such it has no place in any civilised society. A determined and committed program of surveillance and inspection is, once again, well overdue. 5)— AFDI calls for curriculum and Islam-related materials in textbooks and museums to describe the Islamic doctrine and history accurately, including its violent doctrines and 1,400-year war against unbelievers. There has been far too much whitewashing of the ideology of Islam in our schools, libraries and museums, and it is time that the truth was told about the genocidal, totalitarian and supremacist nature of Islam, and the reality of the consequences of allowing Islam to take hold in a civilised society, as seen by the history of jihad over the past 1400 years. As in many other aspects of this article, influential Islamic interests, together with their allies on the Left, are fighting to prevent any real discussion of the true nature of this existential threat to our democratic societies and Western civilisation. 6)— AFDI calls for a halt of foreign aid to Islamic nations with Sharia-based constitutions and/or governments. At least President Donald Trump is making the right noises (as of December 2017) about the enormous amounts of aid that has been squandered on those Sharia-compliant countries that are quite obviously no friends of the West. 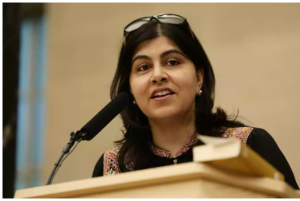 Nations with Sharia-based constitutions will eventually become failed states once the parasitical nature of such constitutions has destroyed or driven out all decency and humanity – so why not allow them to fail sooner so that people in those countries recognise that Islam as a civilisation model is a complete disaster? Articles concerning Items 7-12 and 13-18 will follow shortly. 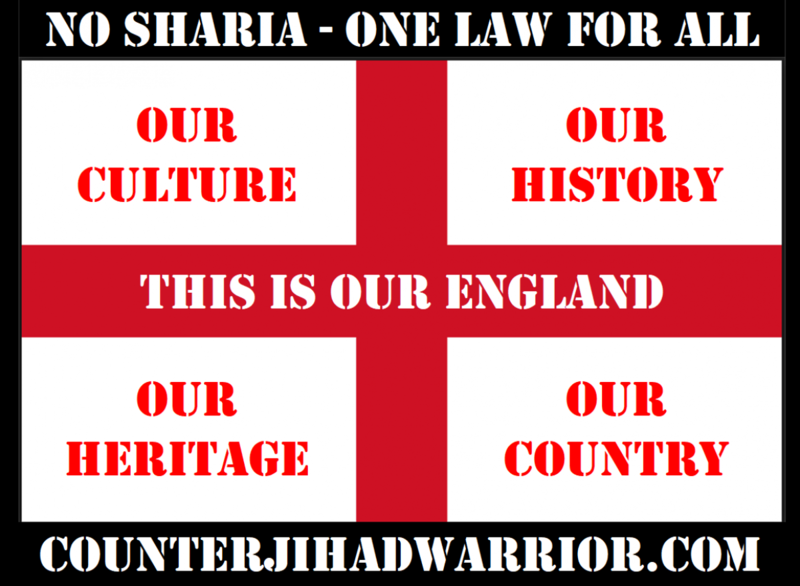 Check out this unmissable Blog Talk Radio show with special guest Danielle T’arna, who by her own admission took the “red pill” in May of this year and is now an active, enthusiastic and relentless counter-jihad warrior from the West Midlands here in the UK. 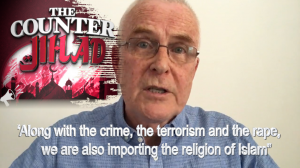 Pat Condell’s new video here. He doesn’t actually use the phrase “inbred welfare parasites” in this video but I’m happy to relinquish the copyright if he wants to use it in future videos. It was March 2001. My girlfriend at the time (Lynne) and myself had been planning a trip over to the continent for several months. 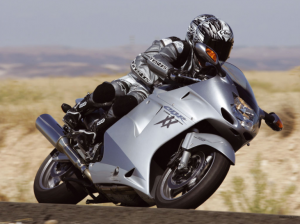 We had just bought ourselves a brand-new silver Honda Blackbird CBR 1100 as a reward for reaching our goals in establishing a viable computer maintenance business and retail outlet, following four long years of hard struggle in an unforgiving commercial environment. We had decided to leave our manager and two employees in charge of the business while we disappeared abroad for a couple of months on the motorcycle tour of a lifetime. I had kitted out the Honda Blackbird with the latest in the state-of-the-art equipment – heated handlebar grips, lockable panniers and top-box, tank cover with multiple zip-up bags and transparent map-holder, dual rider / passenger intercom, waterproof heavy duty leathers, waterproof over-covers and matching helmets. We were going to be the coolest dudes on the road that summer, and the devil take the hindmost. We left home and drove down for one last visit to our retail outlet in Hednesford, Staffordshire on Thursday 14 June 2001. We were given a resounding send-off by the manager and our two employees, whose names I shall refrain from publishing for reasons that will soon become clear. 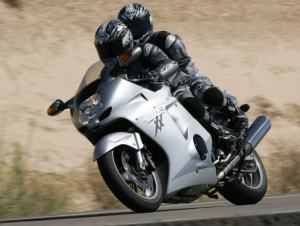 The first thing we found – after about five minutes – was that the dual rider / passenger intercom was ineffective over speeds of about 20 mph due to wind noise. This would not have been an issue if we had been participating in a “slowest rider wins the race” competition. However, in an environment where the optimum speed was 80-90 mph just about everywhere (other than the obligatory stops for petrol, MacDonalds, and powdering one’s nose, not necessarily in that order) the lack of a functioning intercom system meant that we had to devise our own means of communication, which meant Lynne (in pillion position) punching me violently in the kidneys every time we approached a motorway service station so that she could disembark and answer the call of nature. As a gentleman, I felt it inappropriate to comment on the violence employed via this method of communication, even though blood appeared in my urine during the second week and continued throughout the holiday. Lynne (I felt) was one on those rare women whose every command must be obeyed without question – and the imminent possibility of death from a traumatic kidney infection was a small price to pay for the privilege of her affections. We traveled southbound along the M6, M1, M25 and M20 motorway, with my kidneys becoming progressively more bruised and lacerated, until we reached the port of Dover, at which time Lynne disembarked and critically examined the motorcycle. “You need a GB identifier” she said. “You need a GB identifier, otherwise we could have the motorcycle impounded.” she said. I hate it when women are right. I know I shouldn’t. I know I should be grateful for their advice, but I can’t help it. In the end, I bought a couple of GB stickers for the panniers, and I dare say it saved us from a lot of grief from the French gendarmerie, but the seeds of resentment were sown. We crossed over on the ferry, sipping mugs of cappuccino as we watched the Port of Dover slipping away behind us, and then there was nothing but the open sea. I looked across at Lynne, her classically beautiful high cheekbones and her blonde hair curling around her shoulders, and thought how lucky I was to have her as a companion and as a girlfriend. That feeling lasted approximately forty-five minutes after we disembarked in Calais. “No, that way, that way, you idiot!” – you have to remember this was before the Sat-Nav became the universal tool for direction-finding in the Western hemisphere. The pummeling in my kidneys continued unabated until we reached the outskirts of Calais and picked up the A26 to Arras, and then the A1 to Paris, a beautifully fast, smooth road that allowed me to really open up the throttle and put the Honda through its paces. We stopped off at a roadside hotel just outside Paris and enjoyed a typical French meal of beefburger and chips. I was too tired to object – I had visions of a candle-lit meal with wine and some of those cocktails with little umbrellas in them – but we ended up in a down-market burger joint playing loud Arabic music and with a bunch of sickly-looking Tunisian waiters randomly sneezing onto our plates prior to serving. These people were definitely not going to get a good TripAdvisor rating from me, I can tell you. To be fair, I was truly smitten with her at that time, and would have done anything for her. (This was a state of affairs that continued until she distressingly developed a plethora of Left-Wing tendencies in 2006, at which time I decided that I would either have to leave home or to suffocate her with a feather pillow from Waitrose. This article was originally published by Raymond Ibrahim in 2014. 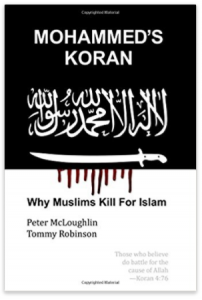 It’s worth re-publishing to emphasize that Islam is NOT first and foremost a religion at all, but a political ideology / personality cult based on Mafia principles. 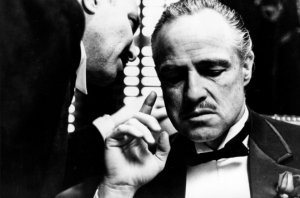 Those principles ensure that the ideology will never assimilate or integrate with the rest of humanity, and the numerous problems that it engenders will never be solved at all unless and until we recognise it as primarily a Mafia organisation (rather than a religion) and proscribe it from every single civilised Western country.